All of our programs are designed to foster a healing relationship between people and nature. Research shows that a connection with nature is vital to our mental and physical health, and that those who are deprived of ample access to nature have a wide range of mental and physical health challenges compared to peers living in areas where greenspace and nature are abundant. NATURE BASED WELLNESS PROGRAMS: These programs combine a variety of outdoor activities with a wide range of psycho-educational teachings, team-building exercises, self-care practices, personal and community development instruction, and the exploration of mythology and depth psychological teachings to help each person through the challenges or transformational stage that they're experiencing. THERAPEUTIC SERVICES: We offer psychodynamic-oriented therapeutic services for individuals and groups, that are rooted in both depth psychological and ecopsychological principles. These services are free to the general public for those in need, though donations to Exploring Roots are welcome. If you are interested in learning more about these offerings, please use our contact page to get in touch. Since we're located in the concrete jungle of Kansas City, Missouri, where most citizens rarely encounter wild places, or even adequate greenspace, we serve the community as a whole. Our public programs range widely, including themed events relating to Ecopsychology and Depth Psychology, father-son events, mother-daughter events, men's outings, women's outings, and much more. Each program has a unique focus and purpose, including outdoor activities, wellness-focused programming, and ecologically-focused programming. In the near future, you'll be able to learn about upcoming programs for the general public on our event calendar. Studies show that those with less access to nature have overall lower measures of health as a result of nature deprivation, while at the same time, those who suffer most from adverse environmental degradation are those who have the fewest resources and are least responsible for negative environmental impacts. We feel it is a moral and ethical responsibility to play a role in addressing both environmental and social injustices that exist in our community. Our youth program serves those living in under-resourced urban areas, and seeks to foster a healing and empowering relationship between those we serve and nature, while simultaneously supporting them through the archetypal transition that comes with transitioning from adolescence into adulthood. Historically, females have been underrepresented in the outdoor recreation movement as a whole. Yet, studies show that nature-based programs for girls and women can play an important role in empowerment and improving measures of health. We believe in equal opportunities for all people, and want to do our part to ensure that we create opportunities where they have been absent historically. For this reason, we have developed a team of female leaders who are dedicated to creating and facilitating programs that specifically seek to support women through outdoor programming. Amber Reed is the co-owner of Resolve, a counseling and wellness center that provides a variety of therapeutic services in Prairie Villiage, KS, and is a Licensed Specialist Clinical Social Worker (LSCSW) in Kansas and Missouri. She graduated from Washington University in St. Louis with a Masters in Social Work and a focus on clinical mental health. In the past, Amber has served as the Director of Clinical Services at Signature Behavioral Healthcare and Signature Psychiatric Hospital. Andrew served in the US Army’s elite 75th Ranger Regiment as an Infantry Officer and served three tours in Afghanistan. Since leaving the service, he has worked with Warriors’ Ascent delivering nature-based therapeutic programming, and has built his business - ROKC Climbing Gym in Kansas City. Andrew is an outdoorsman and a dedicated climber who enjoys helping others to connect to a deep sense of adventure and to discover their inner strengths. Lauren is a Consultant. Prior to Shockey Consulting she worked in park planning, urban planning, and served as a DOI/VISTA at Heartland Conservation Alliance. She graduated from Kansas State University with a Master’s Degree in Regional and Community Planning. Her master’s research focused on creating opportunities for African American women to be physically active in parks. She received the Marsha Ritzdorf Award for Best Student Work on Diversity, Social Justice and the Role of Women in Planning in 2014 and presented her research at the ACSP Annual Conference. As a chair of Environmental Professionals of Color KC she is passionate about getting people outdoors and active. Dale is the managing partner at McLennan Design, one of the world’s leading architectural firms that creates Living Buildings, which adhere to the strictest environmental construction standards in the world. Dale is also the President of the Spencer C. Duncan Make it Count Foundation, which he and his family started to support veterans after their son Spencer was killed in action in Afghanistan. Dale is a philanthropist, leader, professor, husband, and father who is passionate about making this world a better place for everyone. David has a deep love for the outdoors, is an avid rock climber, mountaineer, runner, and yoga instructor. He served in the National Oceanic and Atmospheric Administration’s Commissioned Officer Corps and sailed in Alaska conducting fisheries surveys in the Bering Sea and North Pacific. While in the service, he learned about the importance of stewarding and protecting our natural landscapes and the species which call those places home. David holds an applied master degree in natural resource economics and conducts economics research in that field. Carol is a US Army Veteran and a former Law Enforcement Officer, who currently serves as a member of Team Rubicon's National Incident Management Team and as a Technical Specialist. In the past, she has also served as Team Rubicon's Region 7 Administrator, and as an IT specialist for both the City of Olathe and the State of Kansas. Carol has been a highly valued member of other Boards of Directors, including the Spencer C. Duncan Make it Count Foundation, and as a founding Director at Warriors' Ascent. Dan has decades of experience as an outdoor guide, serving with the Division of Youth Services as an Outdoor Rehabilitation Counselor, and as a Climbing Instructor and Route Setter at ROKC Climbing Gym. He possesses a BS in Sociology, and has expert knowledge in the realms of climbing, canoeing, and many other outdoor activities, and is well-versed in environmental education and leading activities that promote wellness and personal growth. Jamie is a marketing manager at VML, and is a core member of the TEDxKC planning team. She has a Bachelor of Journalism from the University of Missouri. Jamie is passionate about the intersection of wellness and education – she currently volunteers with Lead to Read, and previously has served as a Girls on the Run coach and a surfing facilitator in Muizenberg, South Africa. In her spare time, you can find her rock climbing, discovering dog friendly locations in Kansas City and planning her next surf trip. Adam is a veteran of the US Army and the Iraq War, and is the founder and architect of one of the nation’s leading programs for veterans with Post Traumatic Stress - Warriors’ Ascent. He possesses a Master’s Degree in Global Studies, and is a graduate student studying Depth Psychology. He is a nature-enthusiast and environmentalist with a strong conviction that healing people and healing the Earth are inextricably tied together. Jon is an experienced outdoorsman and wilderness guide who currently serves as a manager at ROKC Climbing Gym. 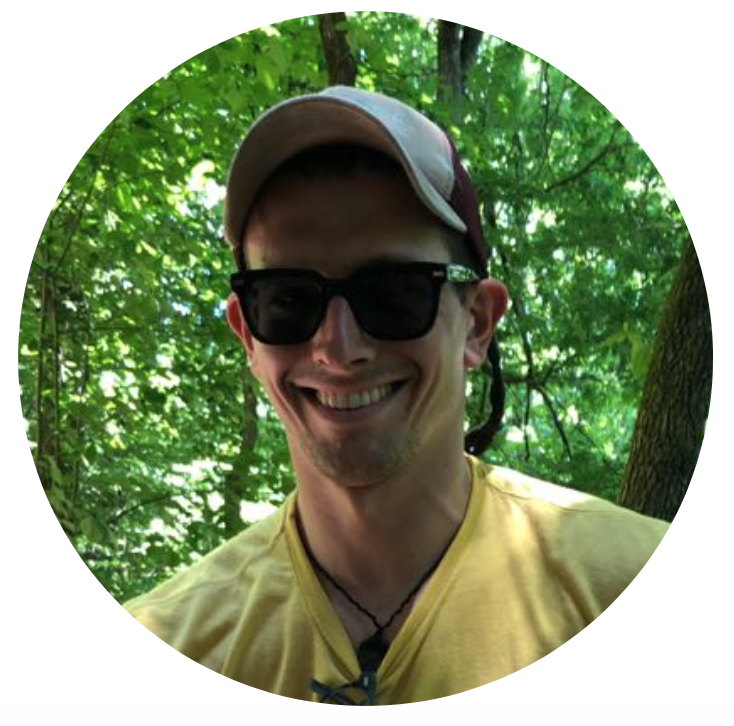 In the past, he has served on staff as the Head Rock Instructor at Philmont Scout Ranch in New Mexico, and as an Outdoor Education Instructor in Estes Park, Colorado. Jon is certified as an American Mountain Guide Association's Single Pitch Instructor, and has held certifications with the American Canoe Association. Tee has over a decade of experience with the Division of Youth Services as an Outdoor Rehabilitation Counselor, where he still serves on a full-time basis. Tee is an American Canoe Association certified Canoe and Flat Water Instructor, who also possesses an arsenal of team-building exercises. At Exploring Roots, he serves as the Water Skills Specialist, helping our programs to make use of the amazing rivers within our reach. Cassandra is a Master of Occupational Therapy Student at The University of Kansas Medical Center with a great love for outdoor recreation. A researcher, Cassandra has held positions as a research assistant at Valparaiso University and University of Missouri – Kansas City in fields such as autism and heart health. Her passion for mental health and wellness led her to Exploring Roots, which she sees as a vehicle for improving the mental health of those it serves. When not involved in activities related to her studies, Cassandra can be found practicing yoga, hiking, climbing, or camping with her dog Maybell. Indira Palacios-Valladares, Ph.D.: Dr. Palacios-Valladares is a professor teaching both undergraduate and graduate courses in the Political Science Department at Missouri State University. She received her MA and PhD in Political Science at the University of North Carolina at Chapel Hill where she specialized in comparative politics with an emphasis on Latin America. Dr. Palacios-Valladares has had works published in formats including books, articles, and professional publications on a wide range of issues, such as examining protests, activism, and social movements. Some of her specific work includes research pertaining to Chilean labor politics and women’s social and political participation in Latin America, while her current research focuses on Latin-American student movements. Her research helps explain why some groups are more active and successful than others in advancing their interests, and her mentorship helps Exploring Roots develop and improve strategies to achieve its goals. Juan Rovalo, Biologist, Certified Biomimicry Professional, MBA, MS: Juan is the founder and key principal of In Site and Associates Consulting firm focused on providing ecological services to design teams in their quest to achieve the highest ecological performance and environmental integration of the projects. His growing international activity in Biomimicry related projects, including various locations throughout Mexico, the United States, and beyond, has positioned Juan as one of best specialists worldwide. Juan holds a Bachelors degree in Biology from the National University of Mexico (Universidad Nacional Autonoma de Mexico, UNAM), as well as an MBA at the Universidad Iberoamericana (UIA) and a Master in Science with ASU. He also holds the title of Certified Biomimicry Professional from Biomimicry 3.8 following the completion of their inaugural two-year Biomimicry training program. Throughout his biological studies, Juan has worked in a variety of research laboratories, including neuroscience, biotechnology, ecology, botany and mycology. He is also a member of the Society for the Ecological Restoration, the International Living Future Institute, the Mesoamerican Society for Biology and Conservation, and the Puget Sound Mycological Society. Darlene Budd, Ph.D.: Dr. Budd is a professor of Political Science, and the Director of the International Studies program in the Department of Government, International Studies, and Languages at the University of Central Missouri. She received her B.S. from Indiana University - Bloomington, a M.A. in International Relations from San Francisco State University, and her Ph.D. in Political Science from the University of Wisconsin - Milwaukee. She teaches courses on Asian politics, women in politics, globalization, and international studies; and is the advisor for the Model United Nations student organization. She received the College of Arts, Humanities, and Social Sciences Meritorious Service Award in 2011. Her recent publications include a Journal of Research on Women and Gender article on how a gendered policy agenda may be used to close the mayoral ambition gap, and two book chapters on Japan's global climate change politices and ASEAN's response to the rise of ISIL (Routledge, 2017 and 2016). Phil Bressler: Phil is a marketing/branding consultant and is also the founder and president of the niche marketing firm Latch – Young Adult Marketing. He has spent most of his career in Kansas City; however his work has also taken him to Oklahoma City, Salt Lake City and Chicago. He has worked with a wide range of companies from small local businesses, to non-profit organizations, to multi-billion dollar retail brands. These brands include McDonald’s, Hardee’s Restaurants, Quaker State, PepsiCo, Sonic Drive-In and many others. Phil is an adjunct professor for the Integrated Marketing Communications graduate program at KU Edwards. Phil is inspired and motivated to help guide the overall marketing efforts for Exploring Roots. If you're interested in becoming a partner, please fill out the form below.